The Doctors asked how far you would go to protect yourself in an abusive relationship. For one woman named Liliana, she did something that she would come to regret. She shared that she is a mother of two girls, ages 7 and 5, and was in a relationship with their father for about seven years. She said he was very aggressive and towards the middle of their relationship he became abusive. She felt trapped and lonely, but when she reached out for help, it did no good. She became pregnant again, but when she went into labor at eight months pregnant, she had a stillborn child. Despite all of that, she went back to school and graduated. Her ex-husband wanted more kids, but she knew she couldn’t have more kids with him, so she got her tubes tied behind his back. After seven and a half years of going through it all, she filed for divorce and left the man. She said she never thought she would find someone else, but ended up rekindling a relationship that she had before her ex-husband. Liliana said her daughters call her new husband dad and those are his daughters. They’ve now been married for about a year, and she hates that she can’t give her husband a biological child, which is why she regrets getting her tubes tied. She said she’s happy but she still feels a void. The Doctors: Having A Baby After Getting Tubes Tied? The couple joined The Doctors and Liliana explained that she was 28 or 29 when she made the decision to get her tubes tied, and she is now 34 years old. Liliana said she thought it was the best thing to do because her ex-husband thought that the more connections he had to her, the more he owned her. She said her kids were starting to treat her the way her ex-husband was. She knew that’s when she had to get out. She spoke to her mom, who agreed with her decision, and now that she’s with Joseph, she wants to give him so biological kids. Joseph said Liliana’s kids are his kids. Joseph said he would love to be able to have kids with her. 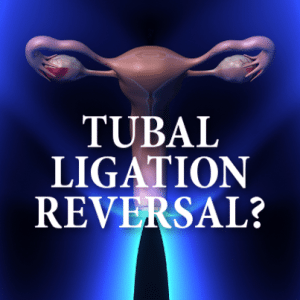 Dr. Jennifer Ashton explained that Liliana had a tubal ligation, which is a permanent surgical procedure that involves cutting, clipping, or tying off the tubes so that an egg cannot get fertilized. However, her ovaries still get eggs and her uterus can still hold a baby, so luckily they have the technology today where they can bypass the surgery. She said it would involve some IVF techniques, which means it would be possible for them to have a baby together. A doctor at the Southern California Reproductive Center was willing to provide them with an IVF cycle free of charge to help them achieve their dream. EMD Serono also heard their story and offered to provide up to two cycles of EMD Serono fertility medications.